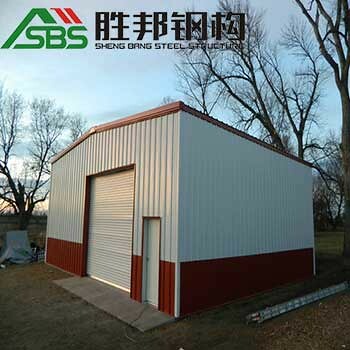 Foshan Shengbang Steel Structure Co., Ltd. is a fast developing steel structures company in China, which integrates design, manufacturing, marketing, and construction in order to create best customer satisfaction. We are one of the most quality steel building contractors and we provide great and durable structures. We make the best steel structure building china .The quality of their product is amazing –we make sure that every element that they make is of the highest value to the customers. What we also do is create products that are 100 percent eco-friendly – you won't have to worry about ruining our fragile ecosystems since steel structures by Foshan Shengbang Steel Structure Co., Ltd. create them to be adaptable to nature and to complement it. We use the nature in the best ways possible, creating constructions that adapt to temperatures outside and withstand any natural disasters and weathers. Foshan Sheng Bang Steel Structure is in possession of great steel structure equipment and spraying production, steel structure workshop building, steel structure buildings, hangars and other buildings. Every customer will have his demands satisfied here. Our mission is to help businesses and families build their future and have a better life. We have high-quality employees, technicians and engineers to make the best steel structures for you. We also take serious care of customer feedback in order to improve their experience with steel structure. We provide guidance together with the best steel building structure design. Our guide will lead you to the most effective solutions. Our company will provide you with lower cost and we will take much less time to build your constructions –we have strong tech that will give your building exclusive design. This is one of the best structural steel companies out there as they have a lot of experienced professionals which have researched and experimented with design to provide the highest quality steel. Foshan Shengbang Steel Structure constructions have continuously brought this company a high level of praise from all kinds of authorities in this field and customers as well. Not only will we provide quality but also safety and security – everything that our company creates will be durable and safe for you, your family, your employees and everyone else who might visit your steel structure building. Foshan Shengbang Steel Structure Co., Ltd. is constantly improving and trying to be better for our customers. The company not only improves our products and services but also our way of doing business and marketing. The company will give you all the best products and services at lower prices than you would normally find. It keeps expanding and growing with you – we care what you need and what you can achieve with what they give you. No matter what you need, we are here – for warehouse steel structures, workshop steel structures, steel structure hangars and many prefabricated and other buildings.